Good news! The Virginia Department of Transportation’s myVDOT webpage has been updated in a way to make it more useful for cyclists and pedestrians. 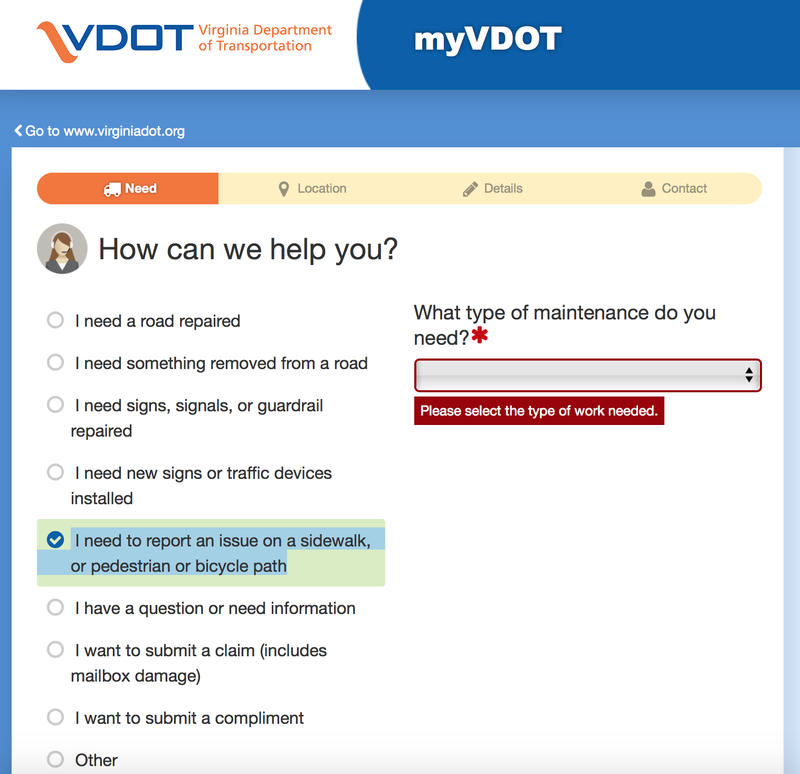 The best tool to report problems on VDOT maintained roads, sidewalks, and paths, myVDOT recently added an option titled "I need to report an issue on a sidewalk, or pedestrian or bicycle path." This will make it easier to draw VDOT’s attention to problems you encounter on your rides. Of course, VDOT does not maintain all sidewalks or pedestrian and bike paths in Virginia, but the new option and the existing ability to enter locations and details will speed the process of repairs. 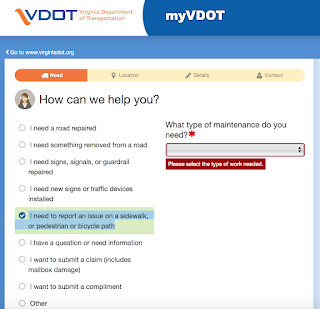 If you are reporting multiple problems, VDOT asks that you submit a separate report for each request. Also, if your request is related to a road hazard that needs immediate attention, please call 1-800-367-7623 (FOR-ROAD).